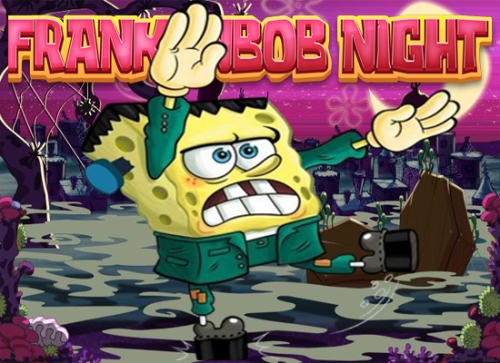 Description Frankenbob Night is a great platform game. Halloween coming and Spongebob have a great costume. For this Halloween he decides to be the Frankenstein. Frankenbob is going in the forest for fruits candys and gifts, but forest animals is not for game.Use the LEFT & RIGHT ARROW keys to move through the platforms. Press the UP ARROW key to jump and shoot the animals using the 'Space' key until they turn into giant ball and then push them and press 'Space' key again to roll them away.Good luck!